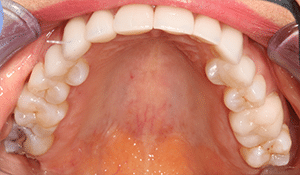 This patient had suffered TMJ symptoms for over 20 years. She experienced jaw popping, congested ears, and pain in her face, jaw, and neck. 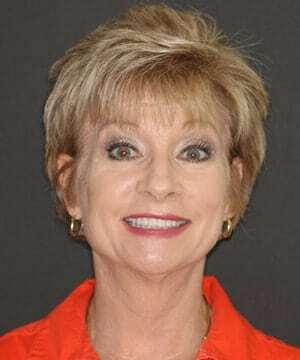 Her unstable bite even affected her appearance, causing her face to sink in. 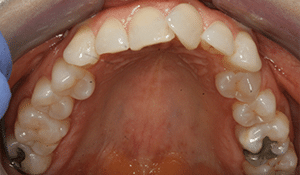 Using only restorations on her upper arch, Dr. Reeves was able to stabilize her bite. 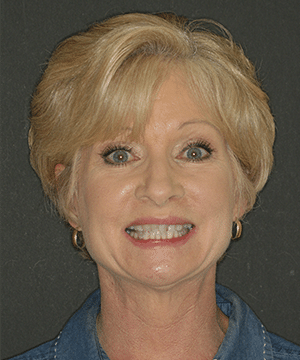 She now enjoys a pain-free life, an attractive facial appearance, and a beautiful smile.